Cerebral palsy is a brain condition that is a common physical disability of childhood and one that persists into adulthood as there is no cure. Individuals have varying limitations and needs, but many are fully capable of becoming independent adults. For those with more limitations, vocational counseling is an important step toward that independence. Cerebral palsy is a condition caused by brain malformation or brain damage that occurs either in the womb, during childbirth, or shortly after a child is born in most cases. It causes disabilities related to muscles and the ability to move, but there may also be wide-ranging complications from hearing or vision loss to learning disabilities. Cerebral palsy can be treated , but there is no cure and it is not progressive. For a child or young adult with limitations caused by cerebral palsy, finding a vocation can mean the difference between being independent and relying on someone else for economic security, or the difference between having meaningful work and feeling useless in society. Vocational counseling is a process and a series of programs designed to help someone find or develop a vocation, career skills, and employability so that he or she can find meaningful work and be more or completely independent. The overall goals of vocational counseling include helping a person find a vocation, ensure economic security, gain independence, and have a sense of purpose and self-esteem. There are a lot of particulars that go into the process, though, and many different professionals involved as well as the supportive loved ones of the individual in question. An individual with cerebral palsy may work with a vocational therapist, but also with other professionals like occupational and physical therapists and educational professionals to meet their goals. The counseling involves assessing a person’s abilities and limitations, skill, goals, talents, and interests to help determine a career or careers that may fit. Vocational counseling also involves services like the development of job and employability skills, interview and resume skills, career counseling, training in social skills and making professional decisions, learning how to overcome obstacles and how to request accommodations as well as understanding rights under the law for persons with disabilities. Vocational counseling is a great idea for anyone with cerebral palsy who wants to find a vocation and gain greater independence, but it is especially beneficial for young adults ready to make the transition from home life and school to independence and adulthood. These young adults can get several benefits from vocational counseling, including improving self-esteem and confidence, access to job training and similar programs, assistance with finding the right career to match skills, abilities, and interests, and ultimately gaining independence. While anyone with cerebral palsy can benefit from vocational counseling, those with more severe physical limitations may especially need the assistance. Does Everyone with Cerebral Palsy Need Vocational Counseling? This is something that must be decided upon by the individual and his or her parents, with support and advice from professionals, such as teachers, doctors, and therapists. There is a wide range of ability in individuals living with cerebral palsy and some may not need the extra support. Many young adults with this condition have normal to above average IQs and only minimal physical limitations and may not need vocational support or counseling. There may be a number of professionals that provide the kind of assistance that makes up vocational counseling, but there are professionals who specialize in this kind of service. 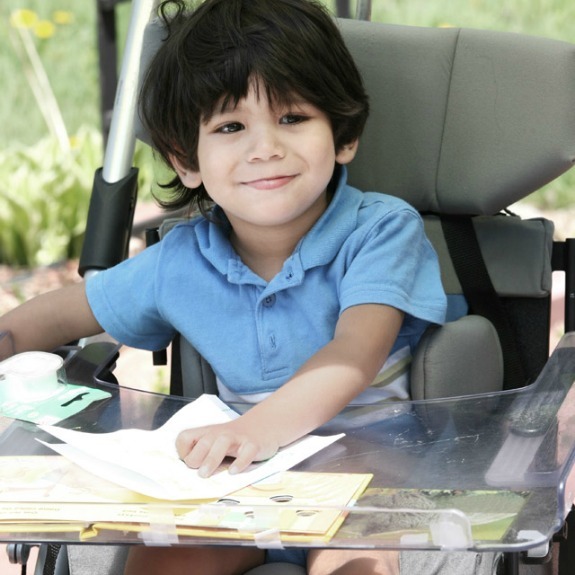 If you have a child with cerebral palsy who could benefit from vocational assistance, talk to your child’s school or doctors to find out how to contact a trained vocational professional. Doing so could help your child become independent, more confident, and have a sense of purpose in life that we all deserve.